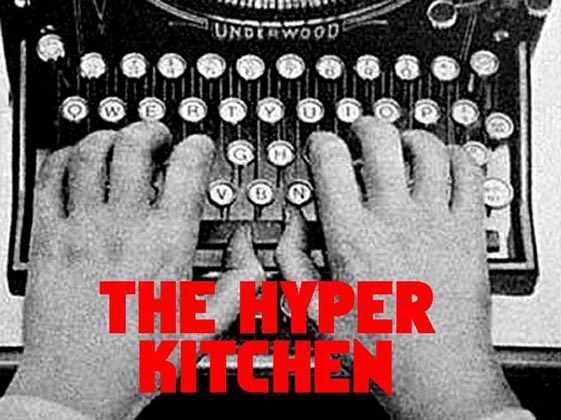 The Hyper Kitchen: Mindless! Formless! It hungers for human flesh! You may know of them as "blobs" or "amorphous jelly-devils." 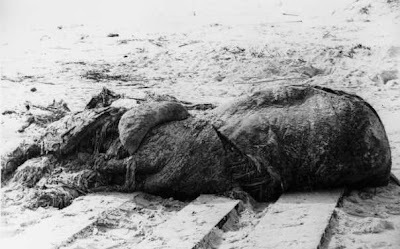 Starting in 1896, nearly seventeen enormous masses of flesh have washed ashore on our beaches. They were clearly organic, and while some appeared to sport the odd tentacle or fin, they were largely without distinguishing features. The globsters had no distinct head or limbs, no internal organs; just quavering, slimy flesh. Biologists were baffled as to the origin of these strange lumps of life. Their blank, glistening forms rendered them unidentifiable, and they were often in such advanced states of decay that examination was difficult. Several tentative explanations were offered, including the theory that these were the hideously decayed remains of large sharks or even malformed octopi. The lack of scientific consensus allowed for the circulation of some gleefully implausible theories that the globsters were undersea mutants or ancient sea-monsters. 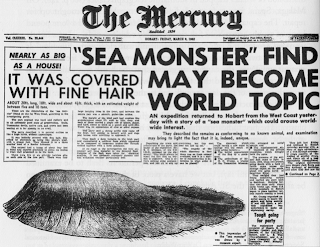 This assured the globster's place in cryptozoology lore. Modern DNA analysis closed this long-unsolved case in 2001, when a pale-green globster washed up in Newfoundland, Canada. This time, scientists were able to arrive before decomposition and preserved the thing for further study in their laboratory. Tests concluded that the globster was a huge hunk of fat from a sperm whale, sloughed off and separated from a carcass. While this doesn't necessarily explain the other globsters, it's a safe bet that they have a similar origin. Or is that what they want us to think? Were these advance scouts? Are we looking at an invasion? Have globsters infiltrated the government?! 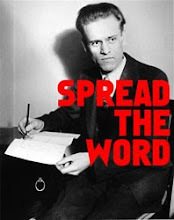 Board up your doors and windows. The Glob War is coming.